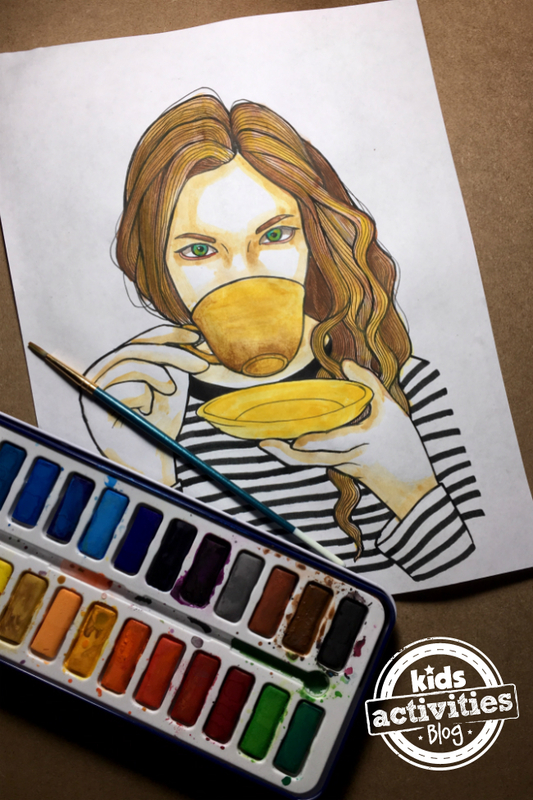 This café coloring page is a wonderful afternoon activity as there are lots of details to color including the hair, face, and coffee cup. It’s excellent for those who are wanting to learn how to color human faces. If you like coloring pages like this, also check out these hair and face coloring pages. Previous Post: « Is 11 too Old for a Chuck E Cheese’s Birthday Party?